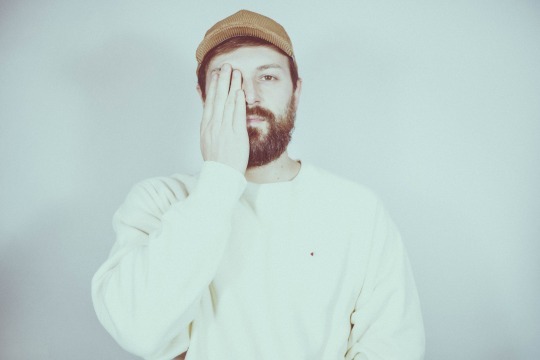 Old Fashioned Lover Boy is the blossoming brainchild of Alessandro Panzeri, and “I Pray” is the brilliant new offering under his recently established moniker. Produced by Marco Giudici (Any Other, Leude, Generic Animal), “I Pray” is an introspective tune that explores the importance of self-care before even considering the pursuit of a potential romantic partner. With “I Pray” featuring a gorgeous piano score with comforting hints of jazz, Panzeri’s soft crooning ties the luscious track together. His soothing vocals blend effortlessly with every pleasant guitar strum as the calming “I Pray” leaves you feeling wholesome and revived. Having previously focused on acoustic guitar driven melodies, Old Fashioned Lover Boy has shifted to more piano-based tunes with enticing bursts of soul and R&B that offer a beautifully layered soundscape. With this delectable tune serving as our first taste of Panzeri since his 2016 debut album, Our Love Will Be Made Up Of Simple Things, Old Fashioned Lover Boy is more than ready to reveal himself to the music community as an evolved artist.